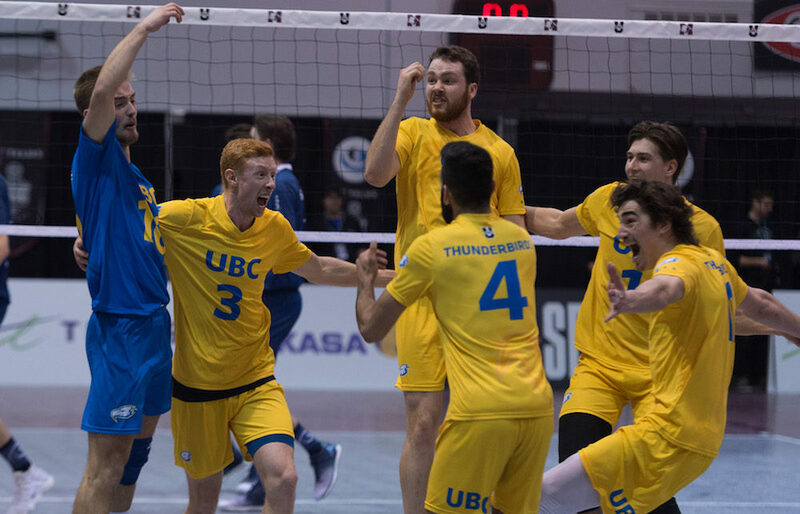 When Kerry MacDonald was being interviewed for the head coaching position with the UBC Thunderbirds men’s volleyball team back in the spring of 2016, the soon-to-be successful applicant admitted he had done a little bit of research. 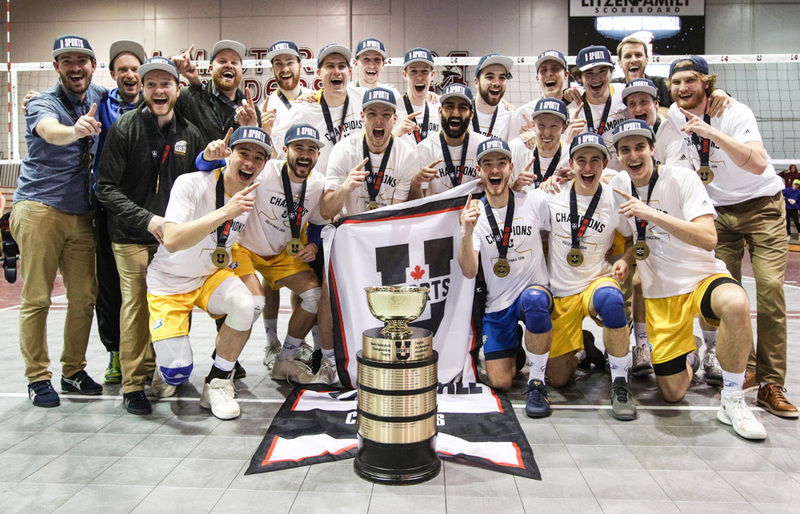 “I knew UBC had won some (national) titles, but I didn’t connect it too much to myself,” MacDonald remembered Sunday. Yet as the ‘Birds quickly built themselves into a contender under his tutelage, and capped their incredible rise with a stunning 3-0 (25-22, 25-18, 27-25) win over the No. 1-seeded, two-time defending champion Trinity Western Spartans in Sunday’s U Sports national title finale at Hamilton’s McMaster University, all MacDonald had to do was strain for the earliest ever memory of his life to gain full perspective of what a 35-year championship drought is really all about. 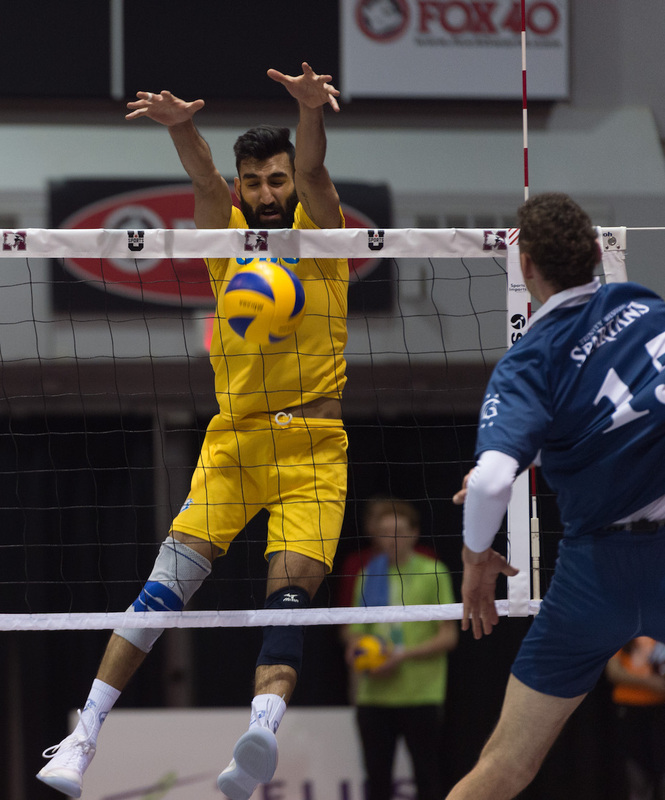 At 6-foot-2, Irvan Brar is likely the smallest front-row attacker in U Sports men’s volleyball. Yet none of that has ever impeded the vision the Surrey-Fraser Heights Secondary grad has had for himself. Yet perhaps in spite of a most unbelievable juncture, which came down the stretch drive of the third set. UBC had gained momentum through the first two, winning 25-22 and then 25-18. Keturakis went on to be named the tournament MVP. The young-and-talented Spartans, however, looked to have a confident level of control over the third set. Eric Loeppky’s block of Brar gave TWU a 14-10 lead, and Jacob Kern’s kill a 15-11 lead. Yet a Brar ace trimmed it to 15-13, and from there, the ‘Birds chipped away at the stone against their arch-rivals from Langley. Then, after pulling to within 23-22, however, it suddenly began to look like what the UBC faithful had waited 35 years to claim, could well be on the verge of arriving. And thus over the match’s defining rally, one which Calgary Dinos transfer Keith West finally ended with a spike off the Trinity Western block, Brar made three survivalist digs to knot the score. Trinity’s freshman phenom hitter Jesse Elser got a stuff block to knot the set at 24-24. The Spartans had set point at 25-24, UBC tied it 25-25, and then took the lead 26-25. Finally, with Fynn McCarthy, the ‘Birds own freshman phenom serving, West was able to tip home the winning point. 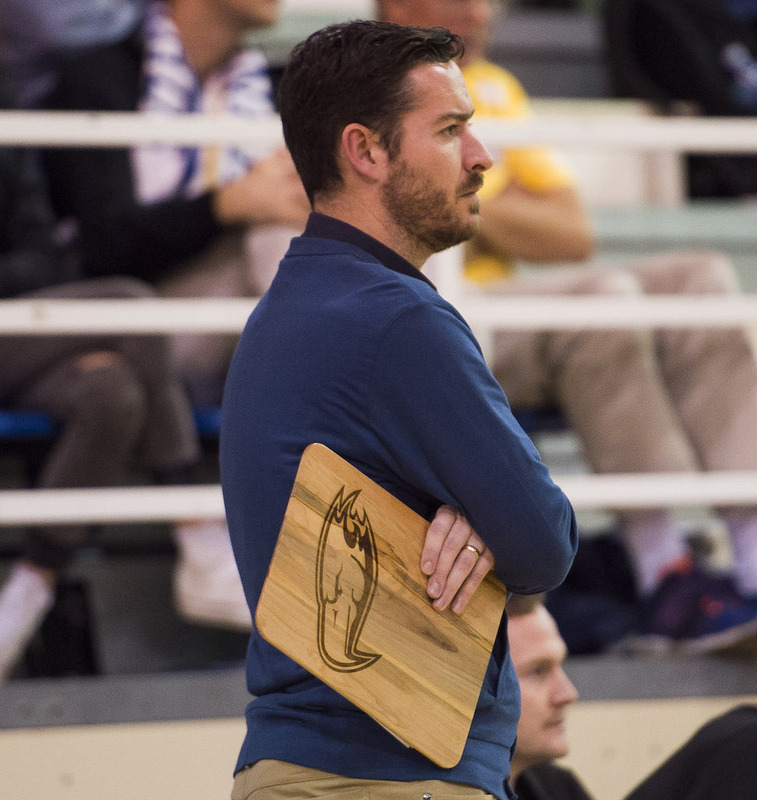 “If you are going to put all your chips on the table you might lose them all, and that is what these games feel like,” said Trinity Western head coach Ben Josephson, whose team had split with UBC in the Canada West regular season. “When you win, you are excited and when you lose, you are disappointed. The Spartans, a team filled with blue-chip first- and second-year starters and led by fifth-year senior setter Adam Schriemer, U Sports Player of the Year, will return next season as powerful as ever. “I was really happy that Adam got to play his final game as a Spartan on this national stage,” Josephson added. “He has had an incredible career. Four straight national finals, Player of the Year, Rookie of the Year, national championship MVP, Final Four MVP. He is the most decorated Spartan that we have ever had. UBC loses five players through graduation in Brar, West, Ben Chow, Matt Santema and Mat Guidi. But all of the other aforementioned are back, as are the likes of middles Jordan Deshane and Joel Regehr, and libero Tyson Smith. And it, too, is a youthful core, setting in motion what might be the start a new rivalry, something along the lines of the SFU-UBC women’s basketball wars which saw one of the two teams win the Bronze Baby national title for seven straight years (2004-10). Over at UBC, the ‘Birds longtime sports information director Wilson Wong, a caretaker of the entire athletic department’s history, has a quick and easy answer when asked just how many national titles Canada’s most storied athletic program has now secured. “One hundred and eleven,” he says. To all of the various teams and student-athletes who have won, each is uniquely special. Yet this crown, like the one the UBC women’s volleyball team won under head coach Doug Reimer in 2008, is one of the landmark ones. That year, the ‘Birds 3-2 comeback win over Montreal ended a 30-year streak of futility, and even more, was the first of a U Sports record-tying streak of six straight national titles. 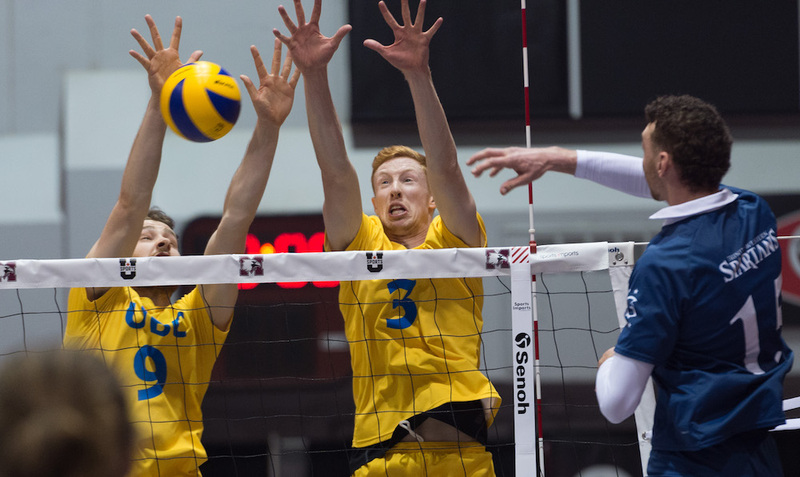 Who knows what’s in store for next season’s UBC men’s volleyball team, one which MacDonald will guide with the same ‘point-at-a-time’ mentality? In all of the pandemonium Sunday, while admitting everything was “beginning to blur together” he had nothing but clarity when asked about his first meeting with the team. For the next few days, coach MacDonald is still just 34 years old. In jest we say, give him until next week, when he actually turns 35, to truly appreciate how long this championship drought had lasted.